TEL AVIV — Costa Rican Foreign Minister Manuel González Sanz visited Israel for the first time last week, spending three days in the Jewish state in a bid to cement already strong bilateral relations and boost fledgling Israeli-Costa Rican business ties. The visit comes at a critical time for the Middle East in general, and for Israel in particular. For many years, Costa Rica was one of only a handful of nations that recognized Jerusalem as Israel’s capital. In 2006, then-President Oscar Arias relocated the mission to Tel Aviv, the country’s financial center and biggest metropolitan area, in a bid to win trust — and business — in the Arab world. That forced El Salvador, the only other country that still had an embassy in Jerusalem, to pull out, too. González’s departure coincides with the arrival in Israel of U.S. President Donald Trump, who enticed Jewish voters during the 2016 election campaign by promising, among other things, to transfer the U.S. Embassy from Tel Aviv to Jerusalem. 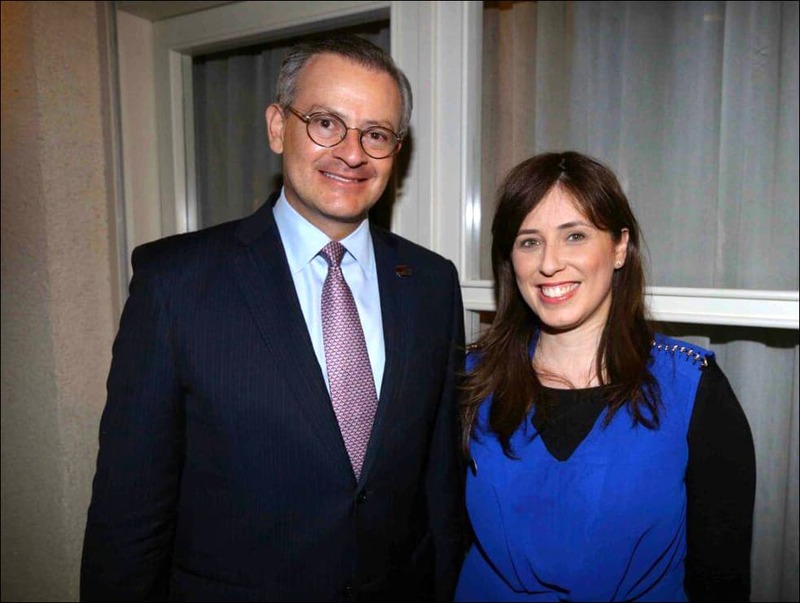 That didn’t stop Tzipi Hotovely, Israel’s right-wing deputy minister of foreign affairs, from urging Costa Rica to move its mission back to Jerusalem in a public speech welcoming González to Israel. Her appeal — which is unlikely to be heeded, considering that even Trump is now backtracking on his widely hyped vow to move the U.S. Embassy — came during a reception organized by Esteban Penrod, Costa Rica’s ambassador in Tel Aviv, that attracted 160 dignitaries, local journalists and expatriate ticos living in Israel. Among the guests in attendance were Yoed Magen, director of the Israeli Foreign Ministry’s Central America, Mexico and Caribbean department; Ariel Goldgewicht, the Costa Rica-born director of the Jewish National Fund’s Latin American division; and Dyana Cordero, director of Costa Rica’s trade office here. In 2015, said Cordero, bilateral trade reached $45 million. Of that, $36.7 million comprised Israeli exports to Costa Rica (mainly plastics, herbicides and pesticides), and $8.2 million represented Costa Rican exports to Israel, mainly coffee and pineapple juice concentrate. That’s still a far cry from the $230 million in annual trade in years past, when Intel had a factory in Costa Rica and the company — which also has R&D facilities in Israel — virtually dominated trade between the two countries. Next month, Pedro Beirute Prada, the CEO of Procomer, Costa Rica’s Foreign Trade Promotion Agency, will come here to sign a memo of understanding regarding services, according to Cordero, who founded the Costa Rican-Israeli Chamber of Commerce in 2015 and lives in Tel Aviv. In his remarks to journalists, González explained the timing of his visit, which also included a side trip to Bethlehem— a city that falls under Palestinian jurisdiction — as well as neighboring Jordan. A scheduled visit to Ramallah, capital of the Palestinian Authority, was cancelled at the last minute for security reasons. During his visit, González met with Prime Minister Binyamin Netanyahu and President Reuvin Rivlin, as well as Michael Oren, the country’s deputy foreign minister for diplomacy and former ambassador to the United States. He also toured the Knesset, Israel’s Parliament, as well as the Western Wall, Judaism’s holiest site. In the port city of Jaffa south of Tel Aviv, González stopped by the Peres Center for Peace, a nonprofit organization founded by the late Israeli prime minister, Shimon Peres, that encourages dialogue between Arabs and Jews. Asked by a local journalist how he felt about coming to a country as heavily militarized as Israel, González noted that 1948 — the year the State of Israel was established — was also the year that Costa Rica, under President José Figueres Ferrer, famously disbanded its army. Magen noted proudly that Costa Rica was “among the nations that helped Israel even before the creation of Israel, back in 1947, when it appointed a special ambassador to visit different Latin American capitals and convince those countries to support the partition of Palestine.” A year later, this led to Israel’s establishment. Penrod, who took over as Costa Rica’s ambassador here four years ago from now-retired veteran diplomat Rodrigo X. Carreras, said Israel seeks Costa Rica’s help in fighting what it views as anti-Semitic and anti-Israel resolutions at the United Nations. Israel also quietly trying to restore relations with countries that severed ties with the Jewish state in recent years — a list that includes Bolivia, Cuba and Venezuela. In late March, Israel restored ties with Nicaragua after a seven-year break; an unidentified Central American country reportedly acted as a go-between in getting the Sandinista government to reconsider its previously hostile stance toward Israel. While the Netanyahu government is unlikely to convince the Solís administration to return its embassy to Jerusalem, González said Costa Rica will continue to have Israel’s back at the UN with regard to any future Middle East peace initiative. Tel Aviv-based journalist Larry Luxner is a longtime correspondent for The Tico Times.